So where are we up to on the Parker novels? 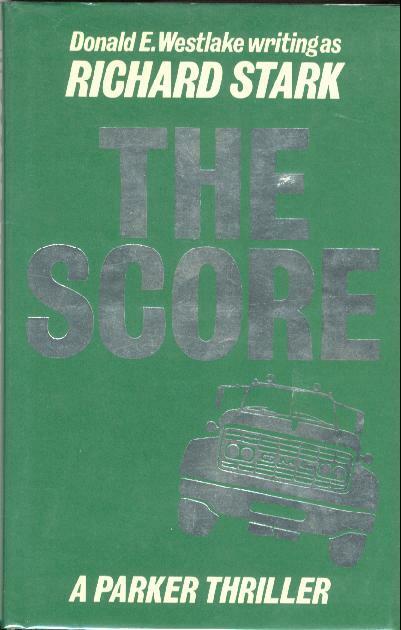 Well, reading-wise, I finished Parker #5, The Score – 1984 Allison & Busby hardback, the edition I read, seen here – and I'm two thirds of the way through the next one, The Jugger, which I gots in a 1986 A&B paperback – see below. 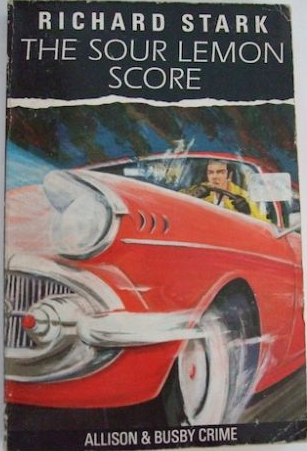 The Score was bloody great, possibly the best one so far, with a brilliant heist involving the take-down of a whole town, Parker working alongside a host of fellow criminals, including a debut appearance for Alan Grofield, who also pops up in a number of later Parker books and four novels of his own. I liked Grofield in this one: he's young, smart, and unusually upbeat for a Stark/Westlake character. But he also has his faults; at one point in the book he's criticized by Parker and another character for not paying his taxes. Which sounds a bit of an odd thing to have to do for a career criminal, but as Parker notes, non payment of taxes is a surefire way to bring the Federal government down on you. The Jugger is a different beast altogether from previous novels. 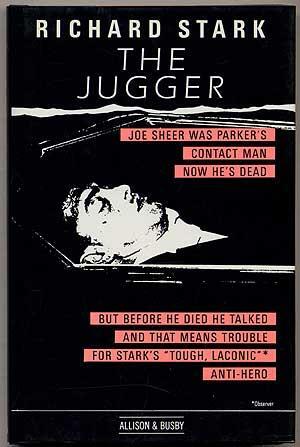 There's no score to speak of; instead Parker is looking into the death of Joe Sheer, the safecracker who acts as Parker's mail drop. Not for altruistic reasons, mind; simply because Sheer knew Parker's main alias, Charles Willis, as well as many of the scores Parker has taken. So when Sheer writes to Parker (prior to dying, obv) asking for help with a problem – something that men in this line of work just don't do, unless it's help with a robbery – Parker goes to see him with the intention of possibly killing him. It's always self-interest with Parker. I've just reached the Stark Cutaway on this one, where we find out what happened to Sheer. 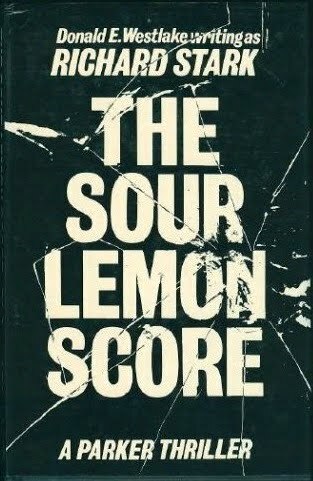 It's a different kind of novel, f'sure, but still terrific. the 1986 A&B hardback, but I like the cover of the paperback, which sports an illustration by Stephen Hall, whose work graced a few of the later A&B paperbacks, as I've mentioned before. I haven't seen a picture of this particular cover online before. Looking forward to receiving it. Oh, and I almost forgot: I made a cryptic comment about symmetry when I was blathering on about Comeback in this post, and I just realised I never followed up on that. The symmetry thing was I knew I had a 1974 US first edition of Butcher's Moon – the final Parker in the original run of novels – on the way to me, which is why it was nice to have a 1997 US first edition of Comeback – the first Parker in the second run – too. See? Symmetry. Proper US first editions either side of the twenty-three-year break. Yeah, OK, bit of a weird one. I'm a funny old stick.